yoga, cycling, and strength classes with good vibes and a greater purpose. 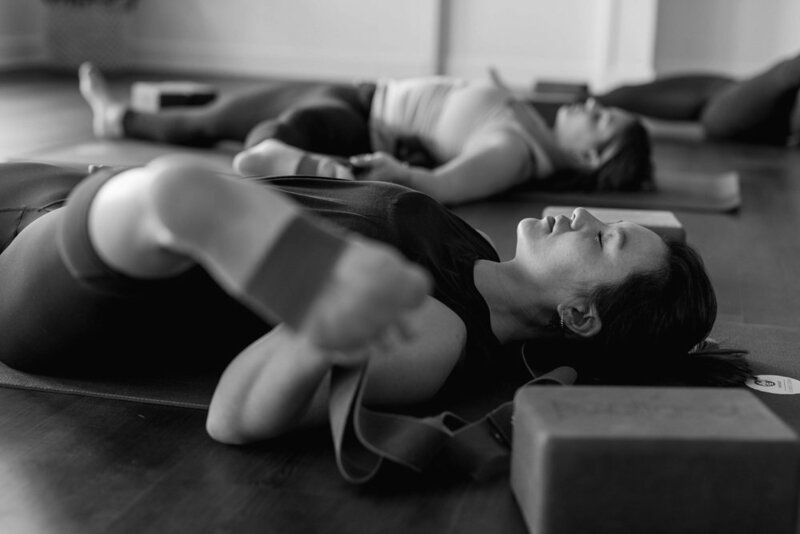 Vinyasa yoga meets, deep beats, practical movement and mindful rehabilitation. UNROLL YOUR MAT AND FLOW WITH US. 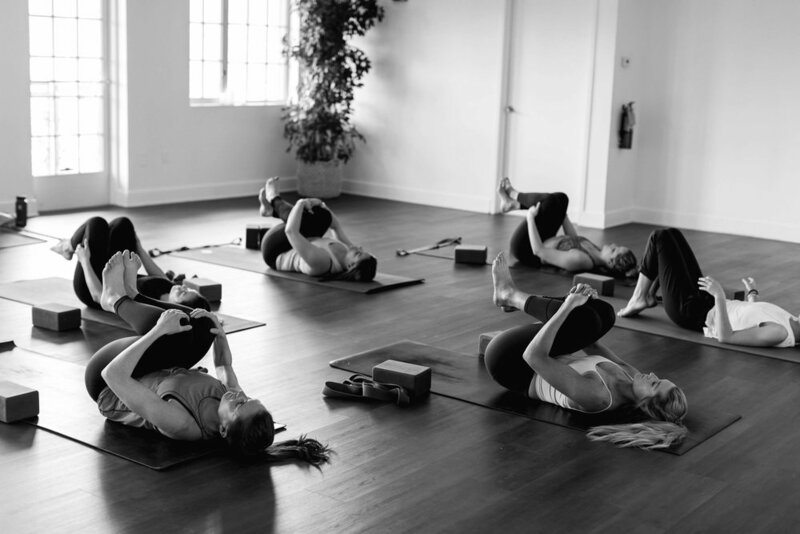 In our Practice Room we offer 3 signature yoga classes: Strong Flow, Steady Flow, and Power to the Zen. 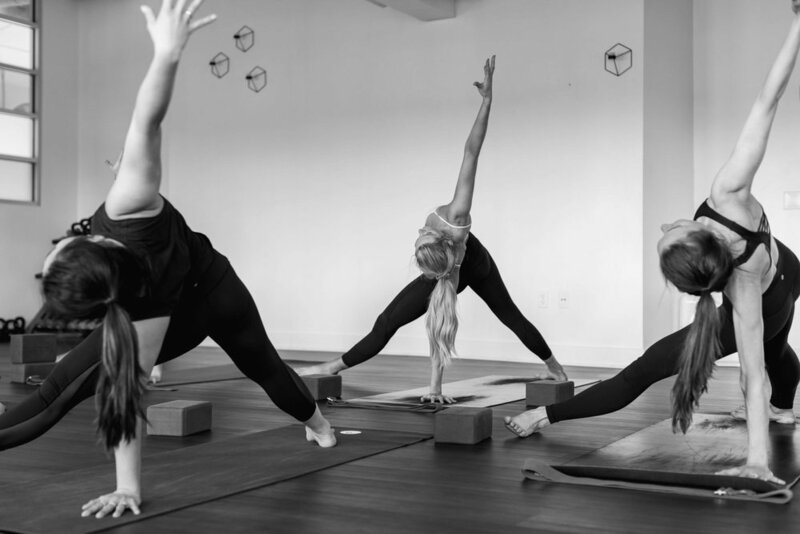 In addition we hype things up with a unique Friday night Antidote Flow, and get you comfortable on your mat with The Roots, a special introduction to yoga every Tuesday evening. Functional fitness meets high intensity training. In our Peak and Practice rooms, we use TRX suspension straps, free weights, kettle bells, resistance bands, and functional training principles to train your body for every adventure. Our Seek Sweat, TRX, and Circuit style training classes each offer a different approach to strengthening and training your body so you can diversify your workout and challenge your body in ways that will change your life, not just tone your abs. Memberships at SEEK give you access to unlimited classes every month, guest passes, community discounts and more. For anyone taking more than 2 classes per week - this is your jam!